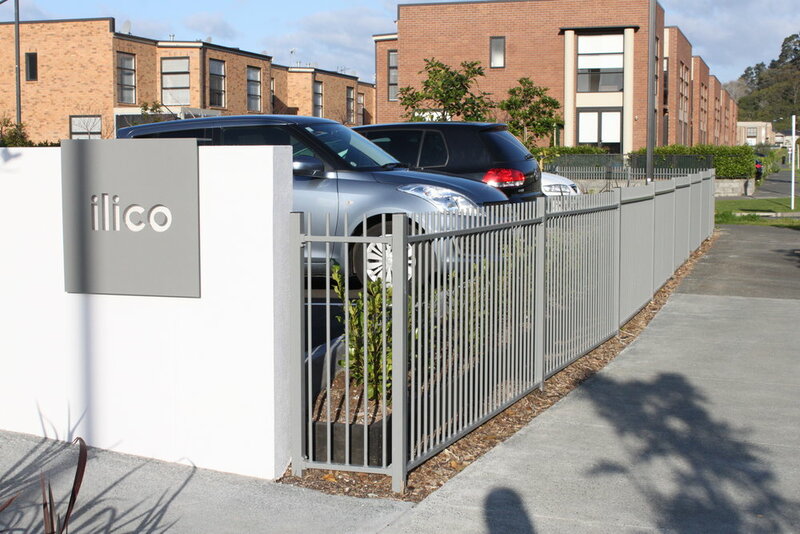 Earlier this year we helped to complete custom aluminium fencing, steel gates and gate automation for the Ilico Apartments on Bluegrey Avenue, Stonefields (Auckland). 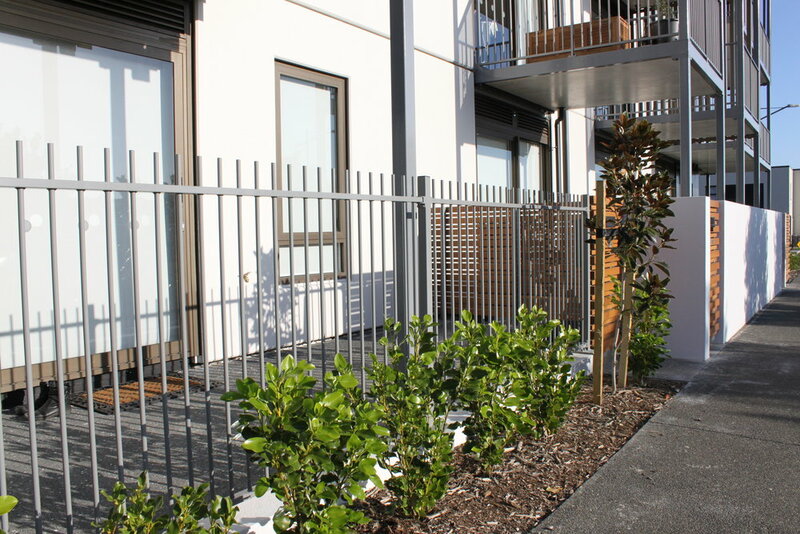 We provided 130m of powder coated custom aluminium fencing which was all fabricated in-house at Hampden Fence. We also installed 5 powder coated aluminium self closing pedestrian access gates to seamlessly match the perimeter fencing. Two custom fabricated 7m heavy duty steel gates were also powder coated and installed on site for vehicle access control. These gates were automated using high quality Italian made sliding gate operators.